Twenty-eight inches tall, modular designed tree. The tree comes standard with three small dishes at heights of twenty-eight, twenty and twelve inches. Optionally, a large dish can go on the top. Square base, twenty inches by twenty inches An Inline option is available that positions the posts in a line and has a rectangular base. Useful where space is a bit of an issue. Standard model comes with a carpeted base or wood finish options. 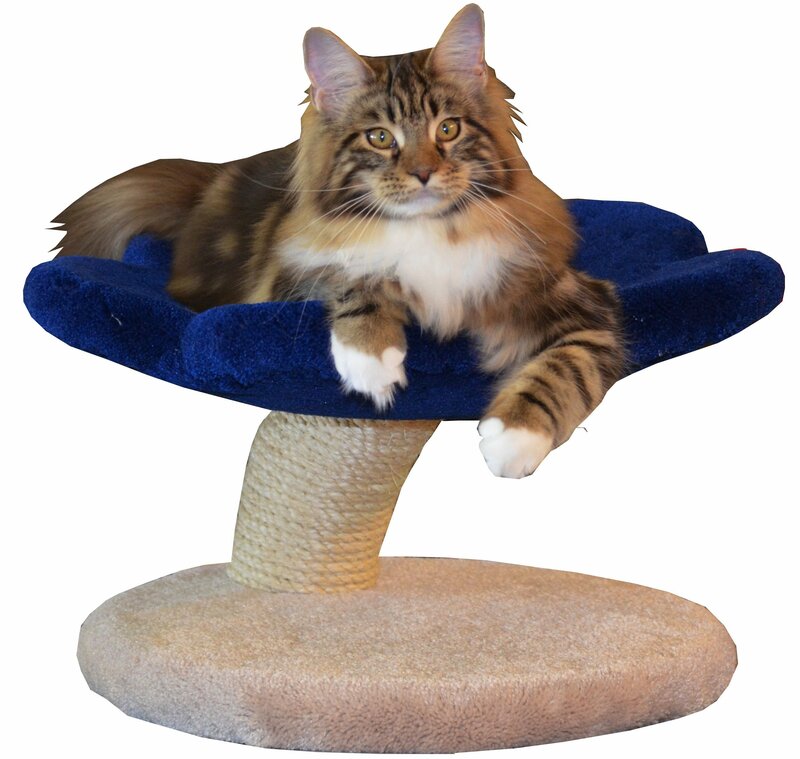 This model is great for a house full of kittens.